Many people as us if travel to Kiev is safe. There are no issues at all in the western part of the Ukraine, and Kiev is a wonderful, attractive, green, accessible capital. The Dnieper River snakes through the city and hills surround it. Kiev was established in the late 5th Century, but the exact facts are obscure, even to modern historians. The oldest city in Eastern Europe, it was among the most fundamental in the development of the Slavic civilization. Kiev is the birthplace of Kievan Rus, founded in the 8th and 9th centuries, and the city from which the Orthodox faith spread throughout Eastern Europe. Churches – there are lots of them in Kiev, but they are all unique and worth visiting. The skyline is dominated by the 13 cupolas of St Sophia’s Cathedral. The foundations were laid in 1037 under the orders of Prince Yaroslav the Wise. Even Stalin was too superstitious to blow up St Sophia. Sadly, St Michael’s beautiful cornflower blue cathedral did not survive, but was rebuilt in later years. The hills surrounding the city are dominated by the Pecherska Lavra, built almost nine centuries ago. This complex of churches is famous for its catacombs and relics of saints, hence its other name, the monastery of caves. Prince Vladimir and his son, Yaroslav the Wise, were the main monarchs who brought Kiev to the forefront of European history. Yaroslav was the patron behind the magnificent St. Sophia Cathedral – a city landmark and a UNESCO World Heritage Site. 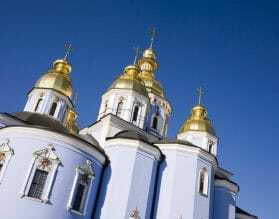 Kiev is also rich in Jewish heritage and has also always had a thriving Jewish community and both her churches and her synagogues rival one another in their graceful beauty. The Jewish community of Kiev made up about 20% of Kiev’s population prior to World War II. The Central Synagogue with its gorgeous chandeliers lay shut during the Soviet era. It has only recently been restored to its former glory and is well worth a visit. Kiev’s Opera House is known for its excellent ballet, opera and symphony and in season, its worth taking in a performance or two. Discover the depths of Kiev’s ancient heritage with Exeter International. 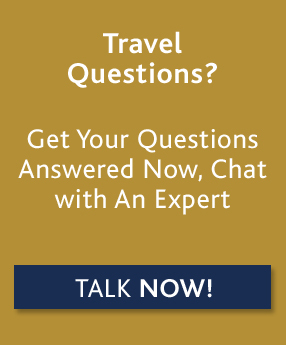 For custom luxury travel and tours to Kiev and Ukraine, please contact one of our travel experts.